Good ol’ cherry pie! Folkmoot Fa-La-La! Good ol’ cherry pie! Yes, at Folkmoot Family Fa-La-La! The second most ‘American’ favorite out there. 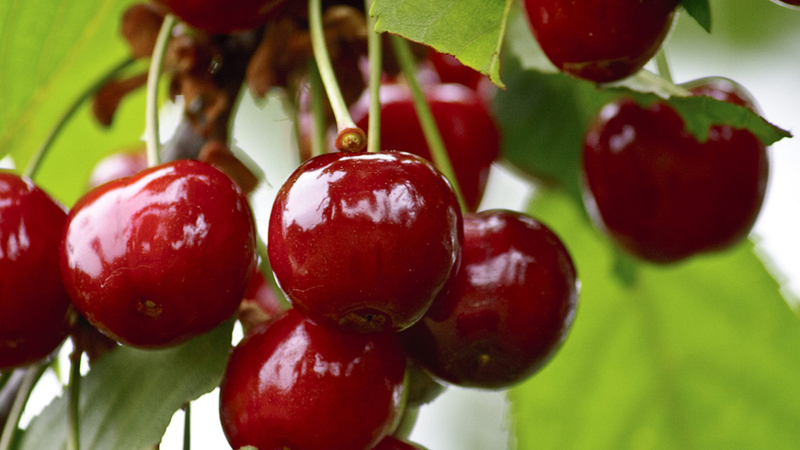 Tart and sweet; that delicious sweet syrup; the burst of the zest when you bite into one of the cherries. It just makes me think of summer. But you will find plenty of cherry pie – along with all kinds of other deserts – on Friday (Dec. 4) when Folkmoot opens its newly refurbished auditorium to celebrate Christmas with Folkmoot Family Fa-La-La! Cherry Pie is also one of the most historically significant pies. Not only did George Washington cut down a cherry tree, as the story goes, but it was also his favorite kind of pie. It was also the favorite of Queen Elizabeth I favorite pie and of our very own N.C. Representative Joe Sam Queen. Cherry Pie even has it’s own day! On February 20th you can eat all the cherry pie you want! Cherry Pie came over with the first English settlers. Pies were baked in rectangular pans and were often called ‘coffins’ instead of pie. The crust was not meant to be eaten but was used to hold the filling of the pie. Now we eat the whole thing, crumbs and all!! The holiday music of Folkmoot Family Fa-La-La!